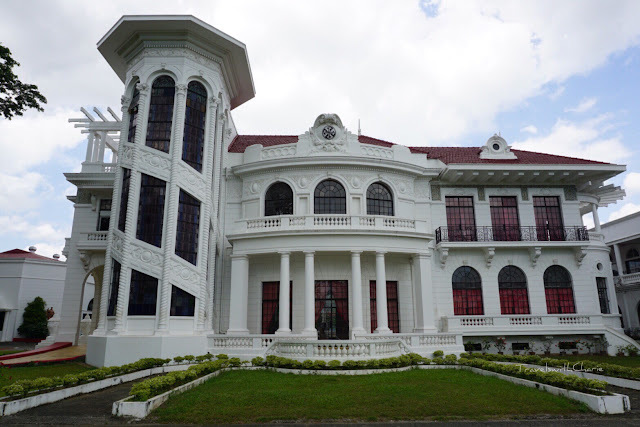 Aklan has many attractions that tourists miss when they head straightaway to Boracay from the Kalibo International Airport. Lambingan Beach is just a few minutes down the road from the airport and the perfect spot to celebrate the blue hour. Or meet locals frolicking on the beach. Tinago Lake in Batan is aptly named. Tinago means hidden and this lake is well hidden except to those who seek off the grid paths. We met two other visitors when we were in Tinago. It was easy to appreciate the expanse of lake and sky and harness the #bluemind in tranquil surroundings. I enjoy shopping for pottery in this village because the prices are reasonable and the stall owners are open to bargaining and will even give an extra planter or two if you purchase a lot of pottery. Bayangan means "potter's wheel" and Lezo is the pottery capital of Aklan. St. Isidore the Farmer Church is right next to the pottery market. It has served the parish community since 1910. 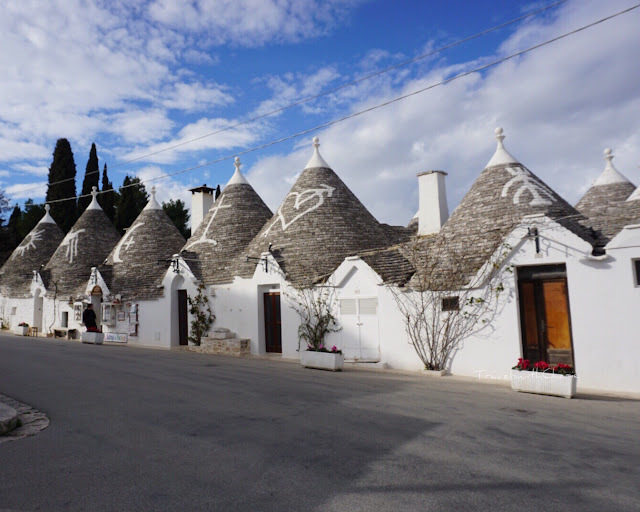 The main reason for my trip to Puglia in early January was to see the strange, cone-shaped roofs of trulli dwellings. 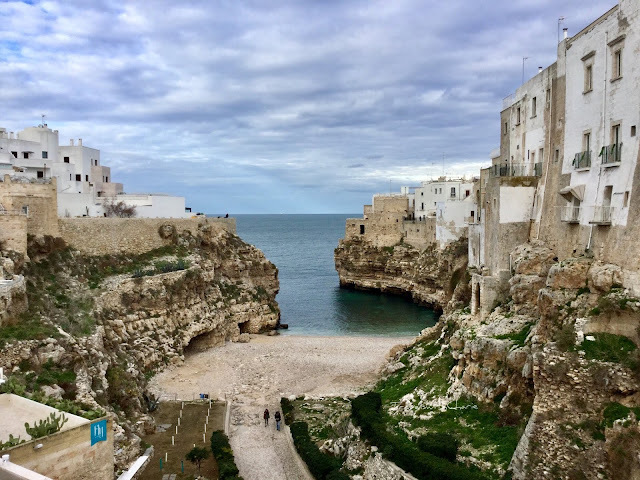 There are over a thousand trulli in Alberobello and to my delight, I saw many rural trulli along the way to this Unesco World Heritage Site. A trullo is built of dry stone which is an age old construction technique practiced in the Mediterranean region. It is an example of "vernacular" architecture, where materials are sourced locally and traditional building methods are used. The conical roof is made from limestone slabs and many are marked in white ash with religious or mythological symbols. A pinnacolo sits atop the cone, like a chess piece. This could be a cross or a ball or a disk or some other design and are supposed to ward off evil spirits. It was interesting to see many doors hidden behind a mesh curtain. The Church of Saint Anthony of Padua blends in with its surroundings. Red and white cyclamen brighten the whitewashed walls of these trulli houses. Cala Porto is a small, pebbly beach surrounded by limestone cliffs and cliffhanging homes. It would make anyone's heart sing when viewed from the Roman bridge. The beach, also known as Lama Monachile, gets crowded during the summer months and the sea is dotted with bobbing yachts. This shopping and dining street looks empty. Its mid afternoon in late January and the whole town is taking a break. 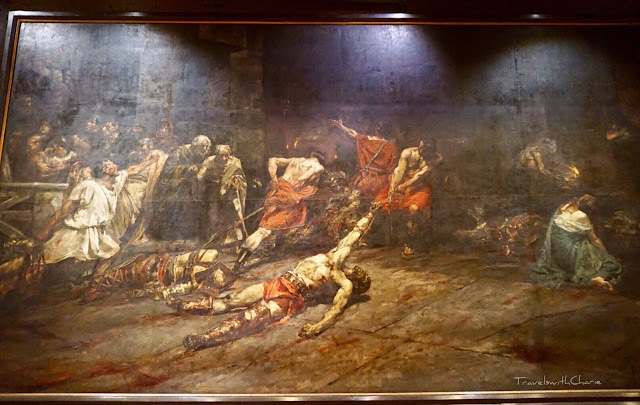 The Spoliarium is an oil on canvas painting by Juan Luna. It won the coveted first gold medal at the Exposición Nacional de Bellas Artes in Madrid in 1884.